So I bought a new cookbook online. Not a surprise; two of my obsessions (cookbooks and online shopping) combined into one. But in my defense, I plan on using this cookbook a lot. I know I say that--at least to myself--about every new cookbook, but I mean it this time. When I was flipping through it, I kept licking my lips wishing each of the dishes would magically appear on my dinner table. Ha ha. 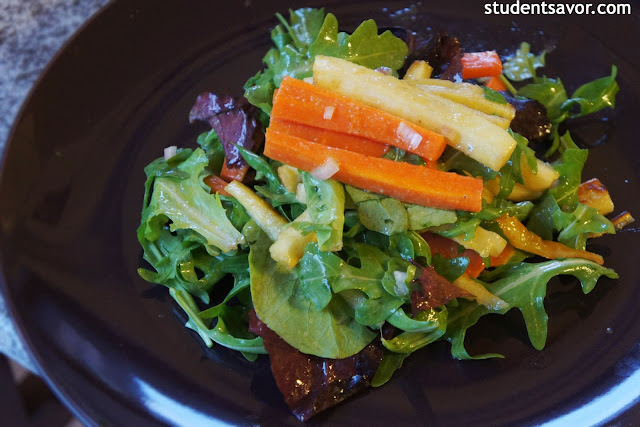 Anyways, I'm starting the recipes with a carrot and parsnip salad. 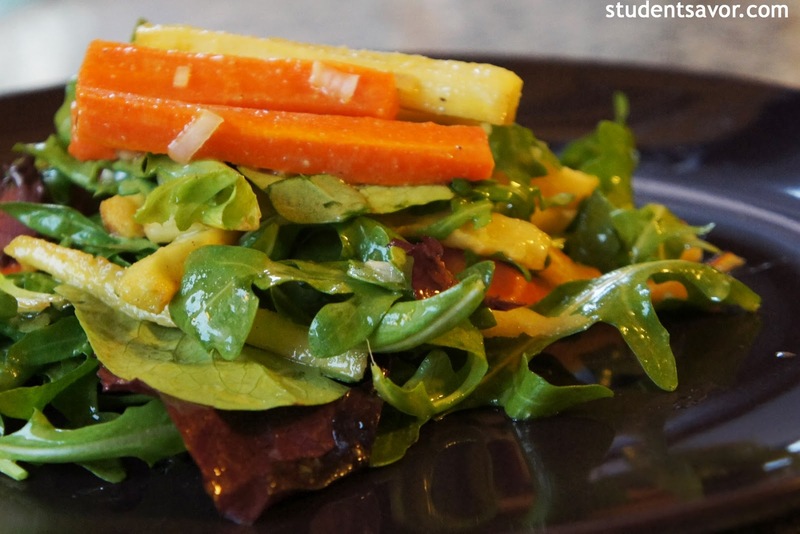 Roasted vegetables, crisp arugula, fresh mixed greens and spicy cumin, all in one dish--yum. Enjoy! Toss carrots and parsnips in large mixing bowl with 1 tablespoon olive oil. Season with salt and pepper. 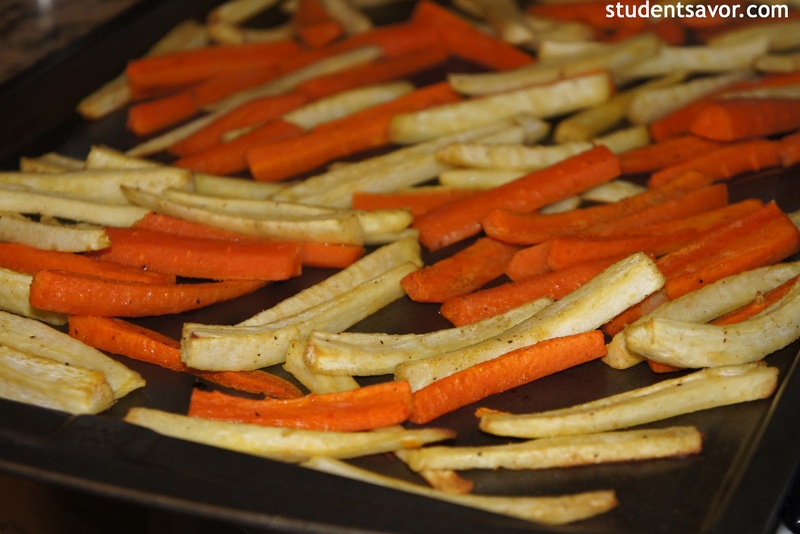 Arrange on a rimmed baking sheet and cook until soft, about 20 minutes. Meanwhile, in a small bowl combine remaining oil, cumin, vinegar, shallot, mustard and miso paste; stir until incorporated. Remove vegetables from the oven and place in large mixing bowl. 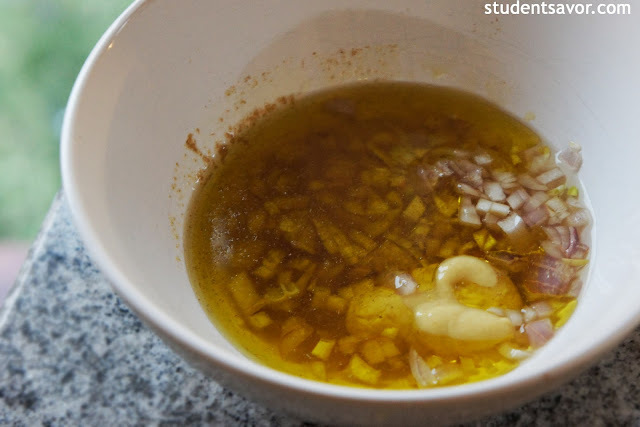 Add vinaigrette and toss until coated. 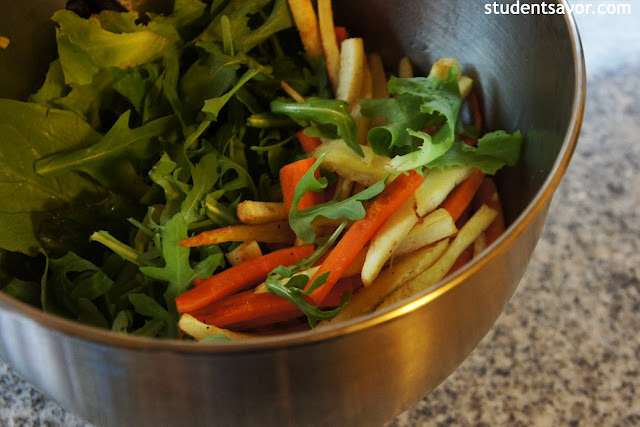 Add arugula and mixed greens and toss more. Season with salt and pepper and serve.